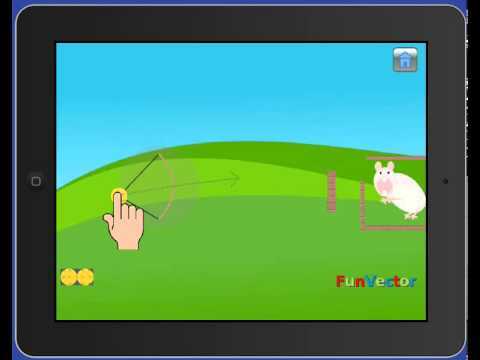 Feed the Mouse Game by FunVector. A very addictive physics engine based game. Pull cheese using the bow and throw towards the mouse. The aim is to feed the hungry mouse in as few attempts as possible. The cheese throwing is similar to using slingshot. If mouse is fed in first attempt then 3 stars are awarded in that level. There are obstructions at some levels to increase complexity. You have limited attempts to feed the mouse and to clear that level. Try to feed the mouse in first attempt to get maximum stars.